Samuel J. 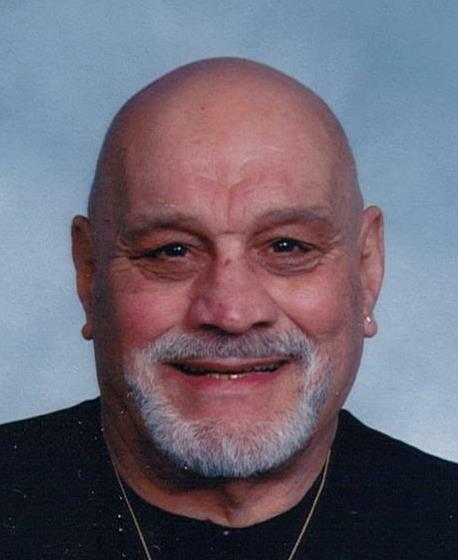 "Big Sam" Peloza, Jr.
Struthers…Funeral services will be held Thursday, January 31, 2019 at 9:30 a.m. at the Wasko Funeral Home, followed by a Mass of Christian Burial at 10:00 a.m. at Christ Our Savior Parish at Holy Trinity Catholic Church in Struthers, with Rev. Michael Swierz officiating, for Samuel J. “Big Sam” Peloza, Jr. 88, who passed away peacefully on Sunday, Jan. 27, 2019, at the Hospice House. Sam was born February 23, 1930, in Youngstown, the son of the late Samuel J. and Anna (Krossman) Peloza, Sr.
Sam attended Campbell Memorial High School. During his time there, the Peloza family needed his help, and being the caring individual he was, he felt obligated to leave school and help support his family. He was just two months shy of graduation. He proudly served in the National Guard and worked for 31 years as a crane man for Youngstown Sheet and Tube, retiring in 1984. He was very proud of his Croatian heritage. He enjoyed going to Croatian picnics, camping at Holiday Camplands, fishing, working out, and going to local casinos. He especially loved his dancing, singing, roller skating and listening to Croatian music. He was the life of the party. Sam was a man who truly enjoyed life to the fullest. He loved being surrounded and spending time with his family and friends. He met the love of his life, Rose Zappia in the ballroom of Idora Park, and the two were married on September 10, 1955, at Our Lady of Mt. Carmel Church. Their love affair continued for 47 years until Rose’s death on June 28, 2002. Sam leaves to cherish his memory his beloved daughter, Roseann and son-in-law, John Grahovac Sr., who was like a son to him, and his son, Samuel J. Peloza; grandchildren, John (Alyssa) Grahovac, Jr., and Melissa (Manny) Katsaros, whom he loved and adored. Both grandchildren are expecting this year and Sam will become a great-grandfather. Sam also leaves behind his brother, Steve (Carolyn) Peloza; sisters, Rita Nolfi, Bonnie (Thomas) Augustine, Georgenne (John) Pavlic; and nephew and godson, Tommy Augustine, as well as several other nieces, nephews and cousins. Besides his parents and wife, Sam was preceded in death by an infant son; sisters, Gloria Jean Peloza, Mildred Kanick; and brothers-in law, Steve Kanick and Tony Nolfi. The family wishes to thank Dr. Sandy Naples, Dr. Amy Awaida, the staff at the Hope Center, Masternick Memorial, and Hospice of the Valley for all of their compassionate care. The Peloza family has entrusted their loved one to the care of the Wasko Funeral Home and will receive family and friends Wednesday, January 30, 2019 from 5-7:00 p.m. at the funeral home.